Don’t we love our mothers? Particularly on Mother’s Day, our gratitude for her unconditional love exponentially increases. To express our love, we buy sweets, we wish her, we take her out for dinners, and we actively update our Facebook and Twitter telling the whole world how much we love our mother. While we do all these to profess our love, I wonder, how many times do we actually think of her unfulfilled dreams and aspirations that she sacrificed for us. Perhaps rarely. My mother is no different from any other mother. She married in her early 20s, started a quick family, and devoted her life to her husband, children and in-laws. While housewives of her era were expected to enjoy husbands’ earnings and achievements, on the contrary, my mother had always been a restless woman. I remember my mother’s announcement that she was going back to college was quite a radical thought back then. Her leaving household duties and joining college was something nobody approved of. But she fought hard, and followed her decision. After that, there was no looking back for her. She worked for multiple NGOs, joined a political party, participated in women’s rights movement, co-founded a Women Society, learnt dancing (she even performed on stage), wrote a couple of books, and got the President of Nepal to inaugurate her book. And she did all this after she turned 40. What is unique about my mother is her decision to rebel. Not all women of her generation could do so. What is perhaps not unique about my mother is her quest for self-identity. Unlike our grandmother who was illiterate and who had willingly succumbed to the age-old patriarchal culture, our mother was an educated woman who had started realizing the damning effects of our culture. While she was taught to follow orthodox norms, at the same time, she ensured not to enforce any of those on her children. While she was taunted for giving birth to a girl, she was determined that her daughter would get the same opportunities as her sons. She was raised in the 60s, the era that saw a man landing on the moon. The world was changing, and so were her dreams and ambitions. Nevertheless, in pursuit of being a good wife and a good mother, she perhaps forgot to take care of her own needs, without even realizing that was happening. Once an ambitious woman, today, she is a good wife and a good mother, but probably not exactly what she aspired to be. These stories are not unique. All our mothers have sacrificed their dreams for their families. Perhaps, they have even forgotten about them. Most of these mothers are in their 60s today, and perhaps a notion of pursuing their dreams again might sound too preposterous to them. But as they say, “it is never too late to be what you might have been”; we children can help our mothers by providing information, guidance and more important encouragement that they never had. Taking her out for a short trip, giving her a coupon for singing lessons, encouraging her to write, or simply listening to her could do wonders for these wonderful women. At this stage of their lives, our mothers want nothing except respect that they deserve. Respect not because they are our mothers, respect because they are them. 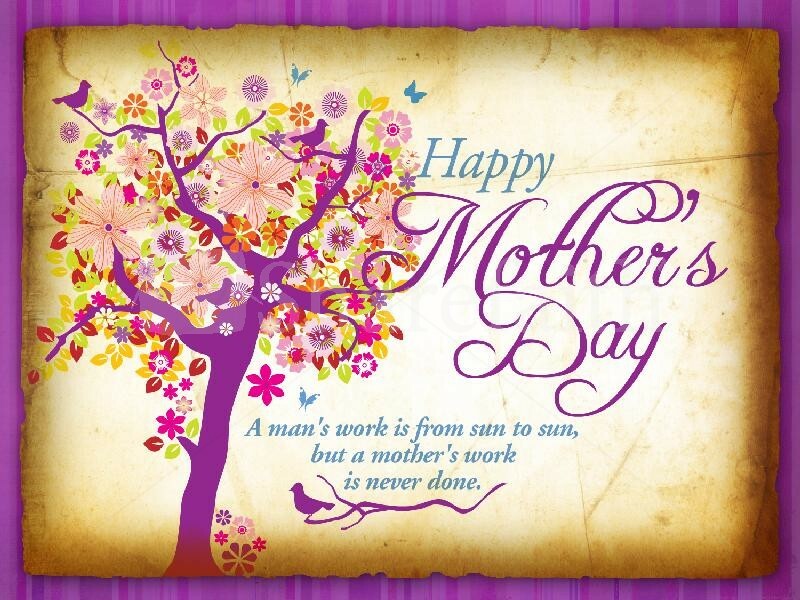 Happy Mother’s Day to all those wonderful mothers! Next Next post: Mother’s Day Stories – The Mother who lost in love!